The Golden Dawn has more masonic hang-overs than the morning after Christmas dinner with a free bar at United Grand Lodge. Some of these are useful, because they have generic magical over tones, and some are only there because they are part of a tradition that no one wants to spoil. The concept being that since the GD was formed by masons we should not touch these things. However, it is important to point out that, contrary to myth, none of the Golden Dawn founders were particularly enthusiastic masons but both Westcott and Mathers started out their lives in masonic groups and so were trained in a masonic way of doing things. The Cipher manuscripts were written by a masonic expert and enthusiast so some of these ideas seeped into the final result. Some of these things were relevant and some of them less so. 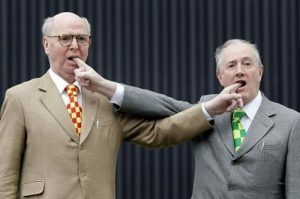 The funny handshake: There are two funny handshakes in the Golden Dawn and another one in the second order. The point of these comes from masonry and is a method of recognition. I have seen some Golden People strain their brains to come up with magical reasons for the funny handshake. Often they try and quote a second order paper where the fingers add up to magical forces. However given that the first grip only connects with the fingers and not the thumbs, you have to question yourself as to what the magical significance of not having mars involved in the 0=0 equation really means and why there is a difference between that and the other grips. To quote Dr Who “I love humanity they are always seeing things which are not really there.” The reality is that masons needed a grip so the GD had to have one to. From a magical perspective it is redundant, as shown by the number of occasions you have to give it. One Golden Dawn order used to require members to que up to enter the temple and give the handshake and whisper the password to the sentinel to get in – all forced, masonic and all un-necessary. Anyone who has read a GD book knows the funny handshake (much like the masonic equivalent) so its security purpose is redundant. If it lacks a security function then it needs a magical one…. Nope much good there either, the ritual does not depend on you symbolically shaking hands with your fraters and sorors (it is not in the script). Unlike the grade signs has no inner use either because you don’t tend to shake hands with strange beings to test them (not unless you want the same number of fingers you had before you started shaking back). 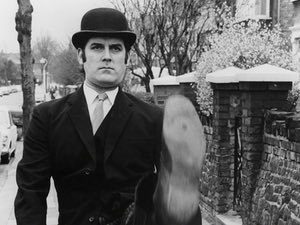 The silly walk: The step is supposed to show your entry into the temple of the mysteries it is followed up by the one which is called “six by six” in future grades. Other than giving the Golden Dawn a masonic step it does not need, the symbolism is pointless. Even if the fact that you have stepped into the temple was worthwhile recognising as a symbolic act, bringing the other left up for “six by six” is an invitation for a snooze. There is no being, astral, or otherwise which wants to see you symbolically made a step and then, with all the smug manner of someone who feels that they have got another grade, bring the other leg up. Even if this were a symbol on all Egyptian statues (it isn’t… they all lead with the left leg because offerings were usually put on the left side.) then it still needs to have a meaning. The Sash: In the early Golden Dawn you should show up at meeting naked but for your sash and still get in. Not that anyone tried, but you didn’t need a robe and could wear your street clothes. But really this masonic piece of regalia is one of the most useless things to come out of the Golden Dawn. Before the invention of velcro it would fall off your shoulders and had all of the magical impact of Scout badges. More ink has been wasted on the colours of the damn things than is justified and, after you have done a grade you have to sew on some more. Magically it shows what has been stamped into your sphere of sensation by the ritual. But that should be a private thing, it is not and should not be used to show that you are something better than someone who has not got orange strips on theirs. When officers wear theirs, it magically confuses the person with their role. So, if the Kerux has their 4=7 stripes, it means that the candidate confuses that grade with the officer (who is actually a 2=9). If the officers take them off, then why does everyone else bother wearing them? 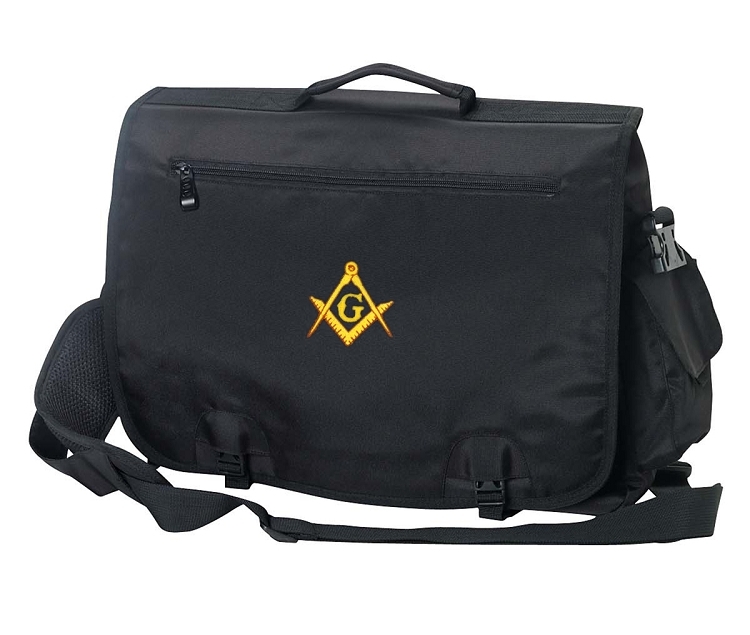 In sort, it is masonic baggage (in my view they should be presented at the initiation and never seen again). Rather than looking for more meanings here than there need to be it is best just to accept that they are masonic baggage which have not much use. For what it is worth most these are still used in MOAA, but are seen for what they are – historical baggage. And before someone complaints that I am being anti-masonic… I am not. I am just saying that there are limits to masonic mimicking which is required by a proper magical order.